SENSATIONAL IN-TOWN OR INVESTMENT PROPERTY IN THE HEART OF HOT RIVER NORTH! EFFICIENT LAYOUT. LOFT STYLE BEDROOM, OPEN KITCHEN/LIVING/DINING AREA. IN-UNIT LAUNDRY, HARDWOOD FLOORS, FLOOR TO CEILING WINDOWS FOR LIGHT BUT NOT A VIEW UNIT. 24 HR DOORPERSON, EXERCISE ROOM, LOW ASSESSMT. INCLUDES CABLE/INTERNET. STEPS TO ALL RIVER NORTH HAS TO OFFER, RESTAURANTS EVERYWHERE AND PARK/RIVER AT THE END OF THE BLOCK. 400 W Ontario Street #508B Chicago, Illinois 60654 is a condo property, which sold for $168,000. 400 W Ontario Street #508B has 1 bedroom(s) and 1 bath(s). 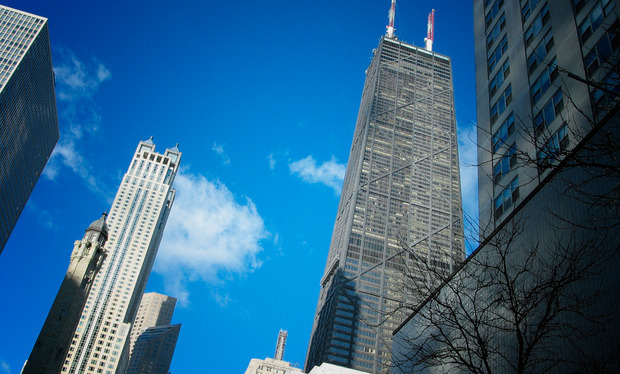 Want to learn more about 400 W Ontario Street #508B Chicago, Illinois 60654? Contact an @properties agent to request more info.